HPE Aruba today released a line of wireless hotspots supporting next year’s 802.11ax/Wi-Fi 6 standard – and then immediately sullied them by applying the AI marketing buzzword. The Aruba 510 access points, along with “complementary access switches”, support the long-in-the-pipeline Wi-Fi 6 standard. 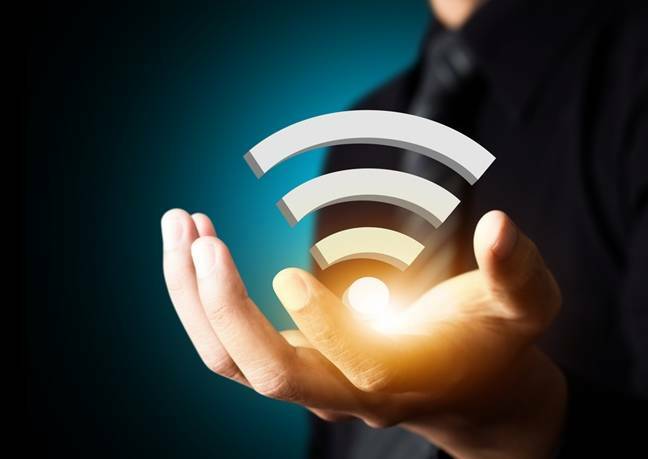 That standard was previously known as 802.11ax until someone at the Wi-Fi Alliance finally realised that Average Joe hasn’t got a hope of following the IEEE’s arcane convolutions. We are told that the 510 series APs are the first to be certified by the Wi-Fi Alliance for the WPA3 wireless security protocol, as well as the Enhanced Open standard. The idea, Aruba hopes, is that enterprises deploying IoT kit will start buying this. It has the usual 2.4GHz and 5GHz radios, with the 5GHz unit capable of supporting data rates up to 4.8Gbps. 256 devices can connect to each radio through up to 16 BSSIDs. Unfortunately, Aruba had to go and spoil all this by mentioning artificial intelligence – specifically, Aruba’s existing Netinsight product, which is billed as an “AI-powered analytics and assurance solution”. Apparently you need AI to automatically power down an AP when there are no user devices connected to it. Whatever your thoughts about the marketing spiel here, the idea behind it is sound: saving power consumption to offset “the increased power requirements associated with select 11ax APs”. On top of the auto-power-off feature, Aruba said its power-monitoring features will let techies define which capabilities (the USB interface, the E1 Ethernet port and/or restricting the 5GHz radio to 2×2 operation) to shed when an AP starts pulling too much juice through Power over Ethernet. Aruba said max draw for the 510 series APs should be 17W with DC power or 13.5W through PoE (802.3af), with idle around 11W (or 1W in “deep sleep” mode). With all that said, should you decide to plug something into the USB port, add up to 6.5W to those figures.